Read and share news with your friends all in one network. Reach was aimed at becoming the most sleek and social newsreader possible, by incorporating the ability to directly share the news you read to others on the same network. 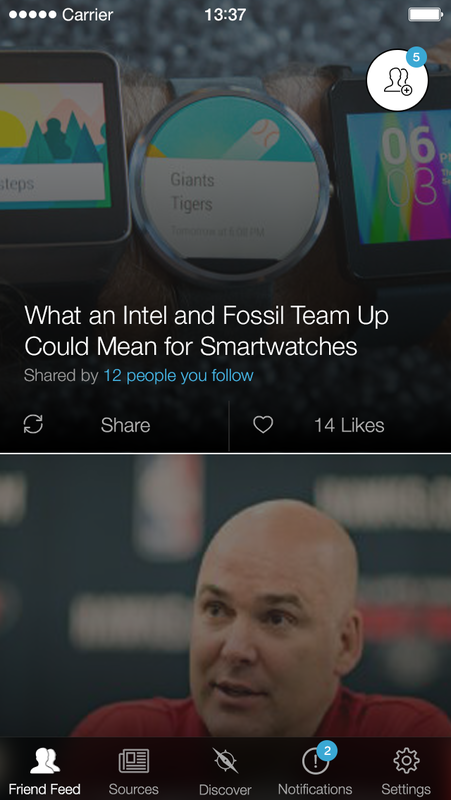 With one tap, you can share an article or like it. 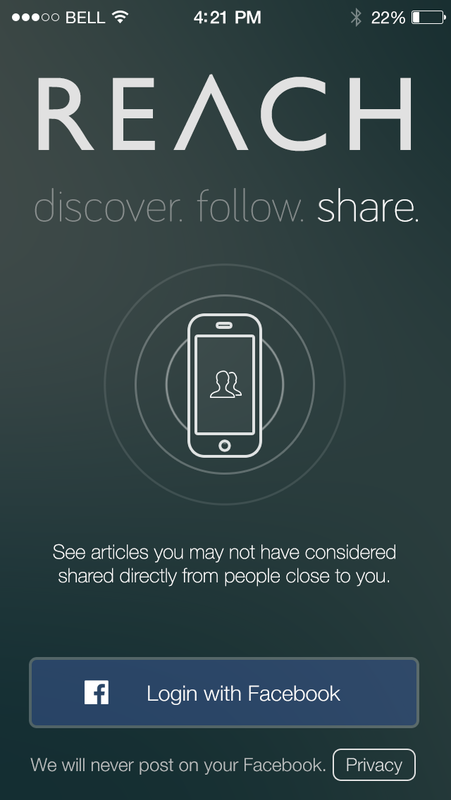 You can also see who shared it on your network to keep up to date with the latest news from your friends. Articles are also streamlined so that there is no need to load a web version of the same article, but rather the article appears in the most mobile friendly format possible. See what is trending on the network as a whole as well as dig deeper into a specific topic to read more from various sources. Reach included notifications, pull down to refresh, subscribing to sources, following friends, as well as various other neat features making it a fantastic newsreader.